Sift the cake flour, baking powder and salt together and stir in the milk mixture. 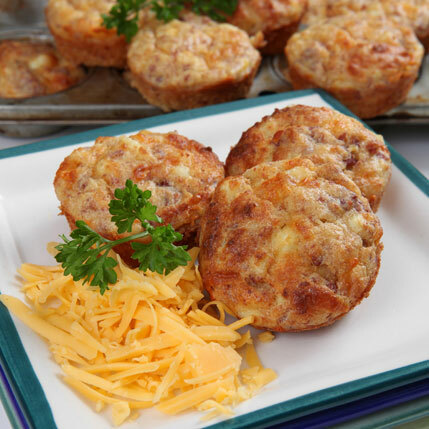 Divide and spoon the mixture amongst 6 large or 12 medium-sized greased muffin pans. Mix the hard boiled eggs, corned beef, cheese, onion and cayenne pepper together. Spoon tablespoonfuls of the mixture onto the batter in the muffin pans and bake for 15-20 minutes. Serve muffins hot or cold.